Jason Giambi is a successful Major League Baseball player who won the American League MVP in 2000, but perhaps better known for his public steroid scandal. 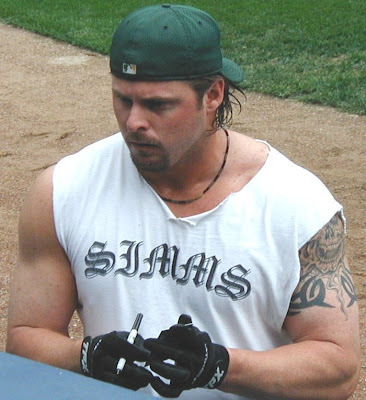 Jason Giambi has a large tattoo on his left shoulder which consists of two designs, one being a flaming skull and the other a tribal armband just below. 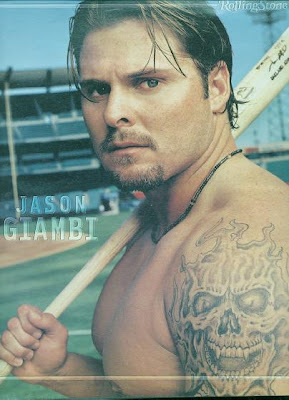 Jason Giambi tattoo design closeup.